Mango tree is a tropical tree cultivated in many parts of the world. But now the mango farming has extended to many other continents of the world. Thus, depending on the cultivator type, the mangoes come in different sizes and shapes. Once the flowering is done, its fruits generally grow at the end of a long, string-like peduncle, with either one or more than one fruit to a peduncle. Mangoes are a good source of Vitamin B6, Vitamin C and Vitamin E. The tasty yet healthy fruit has also been found to protect against Prostate Cancer, Colon Cancer, and Breast Cancer. Shimla Hills, one of the leading agro products suppliers, is all set to pluck its quality mangoes from its farms. Once they are plucked, they will be processed into mango pulp, puree concentrate, IQF, and mango juice concentrate. They will then be exported to the global market and will be used to make juices, nectars, drinks, jams, fruit cheese, puddings, bakery fillings, ice creams and yoghurt. 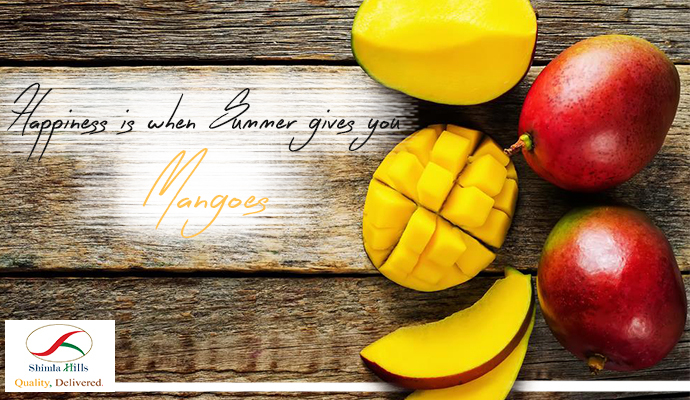 Shimla Hills offers three primary mango varieties – Totapuri, Kesar, and Alphonso. It bring the best quality mangoes pulp, IQF, concentrate and puree that is made from selected and handpicked mangoes.